Home Equity Line of Credit Frozen or Canceled? 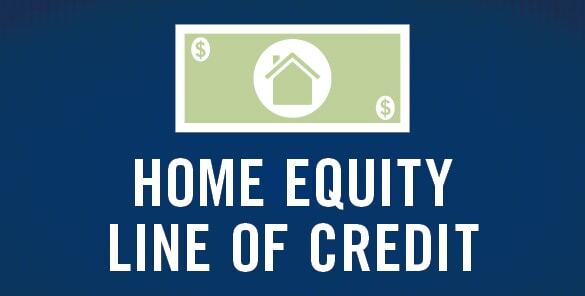 Home Equity Lines of Credit or HELOC’s are very useful for many cases. This line of credit is guaranteed by the equity that you have in your home which obviously can fluctuate. Many people use a HELOC to pay for schooling for a child, possibly college or a large remodel or construction project for the home. Regardless you can use a home equity line of credit for whatever you’d like to use the money for but beware… just because it’s available now doesn’t mean it will be tomorrow! Lenders can choose to reduce or even close your credit line at anytime. Keep in mind, usually there are fees with receiving a loan and a HELOC is no different. You’ll likely pay some mortgage fees for the lender to facilitate the paperwork for the loan and those fees are non-refundable regardless of your current and future credit line or spending limit. Some possible scenarios may be the precursor to your line of credit reduction or closure. One possible scenario is if the value of the home that you have the HELOC on is reduced significantly. Additional items like late payments or non-payments of your HELOC can result in closure or a change in familial status such as divorce or termination of your current employment. Remember banks are in the business to make money and they want their investments as secure as possible. HELOC TIP: Before writing any checks against your line of credit, call your lending institution and confirm your current and actual available balance. Checks written on your HELOC with insufficient funds a.k.a “Reduced Line of Credit Amount” will result in bounced checks and you’ll be stuck with the fees. If you find yourself caught in a situation where your HELOC has been reduced or removed then please read on. You do have options! As mentioned above the most common scenarios where a home equity line of credit is reduced is home valuation fluctuation. Obviously the bank wont reduce the available spending limit if your home value increases but they very well will reduce it if the value decreases. Here;s what you need to remember; if the lender states that the value of your home has decreased, contact the Realtor that sol you the home and ask for a printout of recent comps for the area. This information might be all you need to get things back on track. Worst case you might have to pay for an appraisal to be done to prove your case. For cases that involve late payments or missed payments then you certainly can expect the bank to freeze the line of credit more sooner than later. Late payments and especially non-payments on a HELOC is a sure giveaway to a lender that the borrower might be headed for some financial duress. If you just missed a payment or forgot to send it in on time then contact your HELOC lender explain your situation and make it right. They may not re-institute the spending limit right away but they also don’t want to lose you as a good customer. If they don’t give you the line of credit back right away offer to set up automatic payments, this might give the bank the reassurance they need to flip the switch for you. Remember they’re making money off your payments so they want you happy but as mentioned they also want their money secure. In the event of a divorce or a familial status change expect your lender to ask you to reapply. Lenders cannot close your line of credit due to a divorce but they can make you reapply to confirm you can qualify for the loan and make the payments on your own. Prove to the lender you can afford the line of credit on your own and you’ll be good to go. For more information on a home equity line of credit, please contact us or leave a comment below. We’d appreciate the opportunity to assist you!